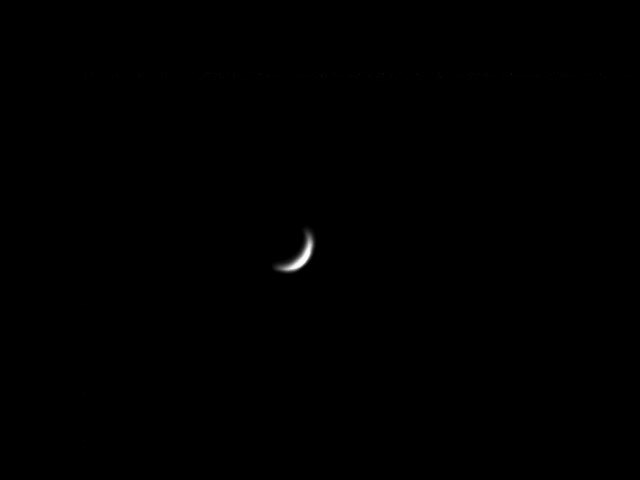 Chris Newsome captured this image of a crescent Venus on the 17th December 2005. He used a Celestron C6-N telescope with a Meade LPI camera and 2x Barlow. The image comprises 195 frames stacked in Registax and then processed using CS2 (RGB levels, curves and unsharp mask). 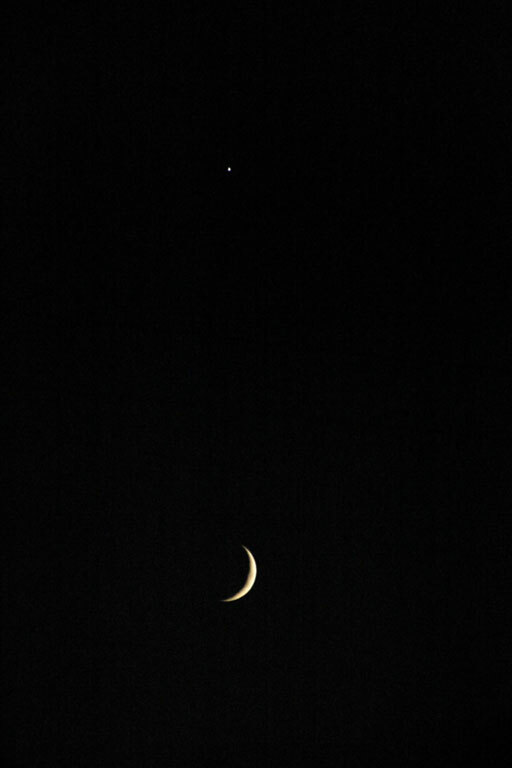 The crescent moon with Venus above it were captured by Chris Newsome at 16:55 UT on the 4th December 2005. Chris use a Canon EOS300D, with a 200mm lens at f/5.6, and manual focus. Exposure was 1/100th second at 3200ASA. Chris had a window of about 5 minutes when he could see both the Moon and Venus between houses! 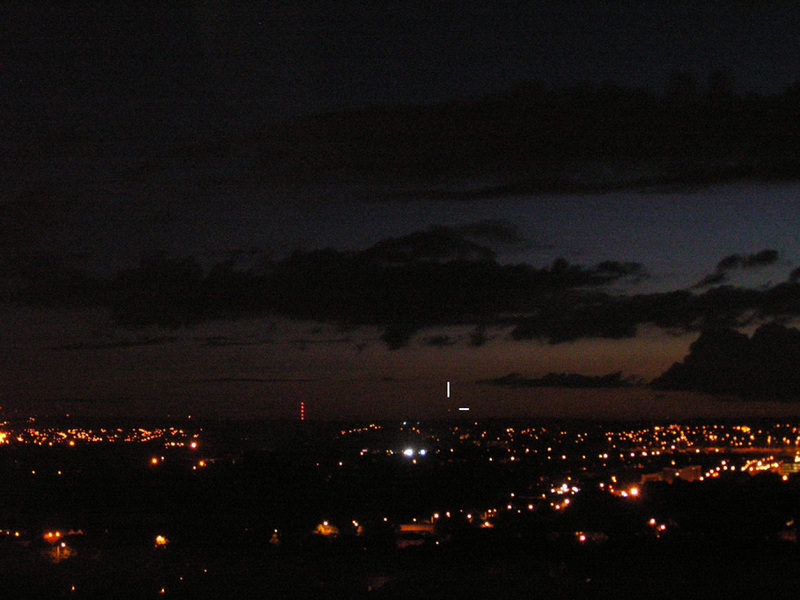 Chris Newsome captured the following images of Venus and Jupiter setting over Cardiff at 21:00 on the 1st September 2005. 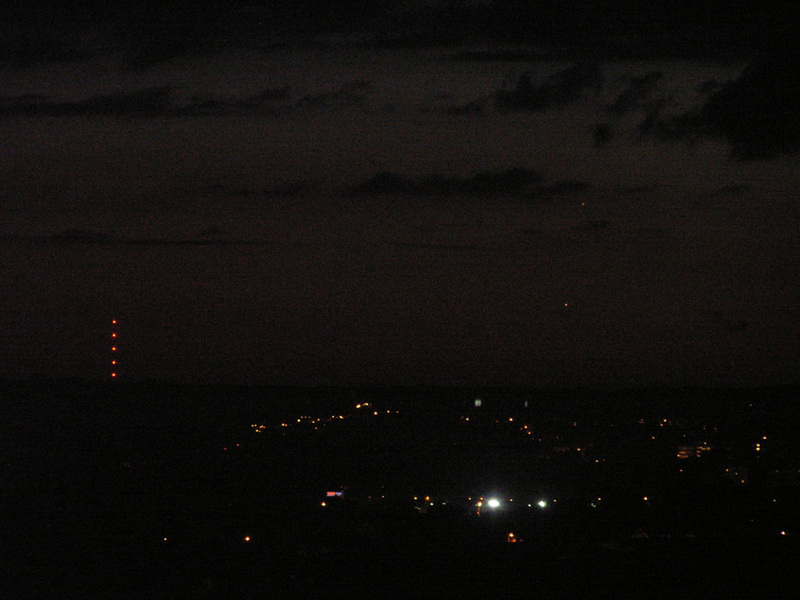 The first shows both planets at right with Venus the brighter and lower one. The second shows Venus very low on the horizon (and marked by 'cross-hairs'). Jupiter is hidden in cloud in the second picture. Both were taken with a hand-held Minolta Z2 camera on a 400 ASA setting, using a 1/10th second exposure at f3.5.